Sometimes we can’t help it that our workplaces seem to be smack in the middle of nowhere, where the only signs of civilisation are our fellow colleagues. In the middle of a long boring workday, the only semblance of joy comes from the prospect of a good meal. 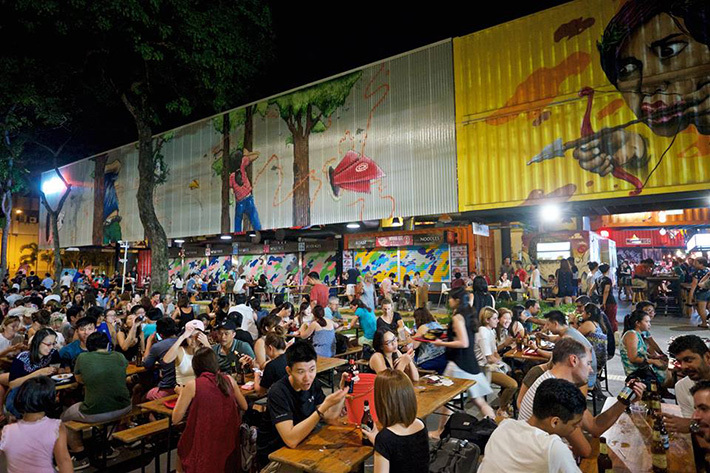 Despite its ulu location, industrial areas are home to a plethora of hidden food stalls that you probably never knew about. Not to worry, here we share a list of the best food places tucked in industrial areas that will make you look forward to going to work. Just around the corner of Shun Li Industrial Park is a quaint kopitiam called 3G Coffee. Despite being seemingly unimpressive, there are plenty of affordable and delicious meals available to leave you spoilt for choice. Be it boneless sweet and sour pork ribs, kidney mee sua, nasi padang or even fish head curry, you name it, they have it. Conveniently situated along Kranji Loop, Chop See Mui Eating House provides a little pocket of heaven for workers there. Not only are the dishes served are value for money, there’s a car park right outside, making it super convenient to get to. Make sure to try their economic mee and mixed vegetable rice! Over at Woodlands Bizhub is Evergreen Food Delight, a small coffee shop serving a variety of food delights. The mixed vegetable rice available there is absolutely value for money, with prices starting at just 70 cents! Apart from the usual cai fan dishes on display everywhere else, treat yourself to their variety of steamed eggs, including and not exclusive to Minced Meat Steam Egg and Otah Steam egg. 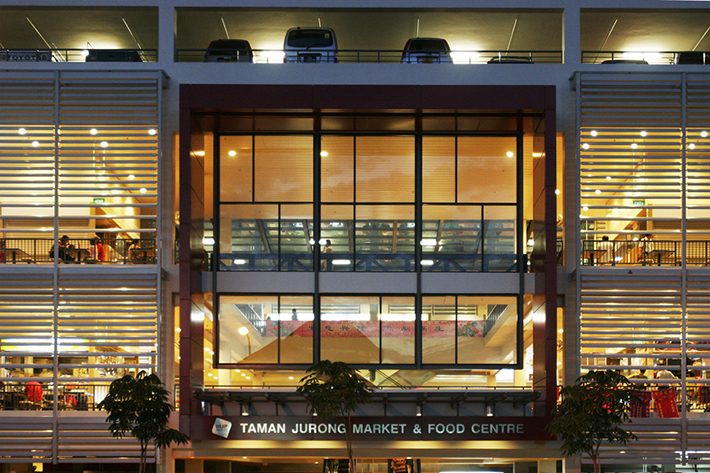 Not to be mistaken for Timbre+ Food Hall, Food Court is a simple place for the simple diners. With the plethora of food stalls available, there’s always something new to eat every day. Why not enjoy a cup of Kopi-O alongside a plate of claypot curry chicken rice? If you’re looking for healthier eats, you’ll be glad to know there’s even a hot salad stall! 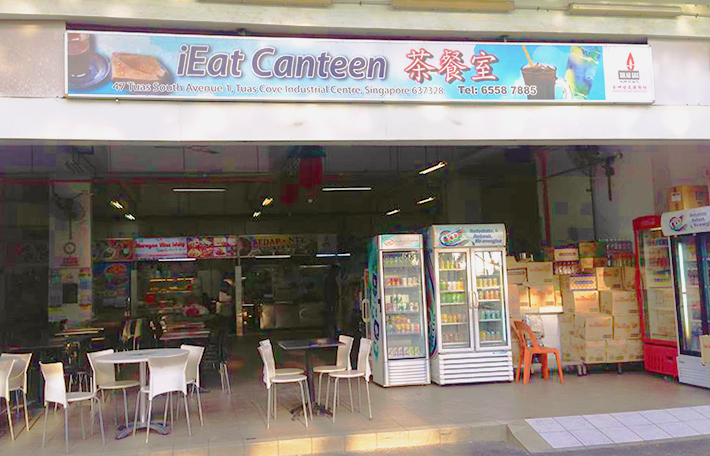 iEat Canteen is all the way far West of Singapore, tucked in the middle of Tuas Link, perfect for grabbing a quick delicious meal without having to make a long arduous journey from Tuas. The chicken rice, in particular, is a favourite among regulars, and the best part is that it’s Halal-certified. Other stalls such as the Zhu Chao and Dong Bei Small Eats ensures there’s definitely something for everyone to enjoy. 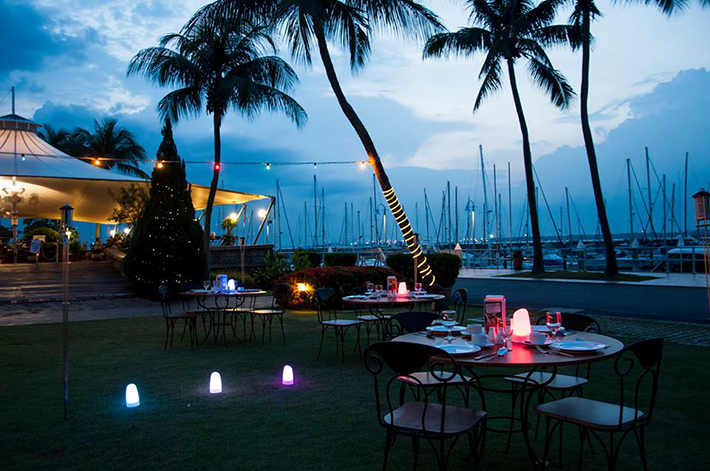 Perhaps it’s Friday and you’re looking for something more atas to treat yourself with after work, near Tuas Checkpoint is Raffles Marina, with Marina Bistro inside it. Enjoy the view as you kick back and relax with a variety of Asian and Western dishes such as fish and chips and Kashmiri naan. The prices are extremely affordable, which goes to show not all good food has to be expensive. 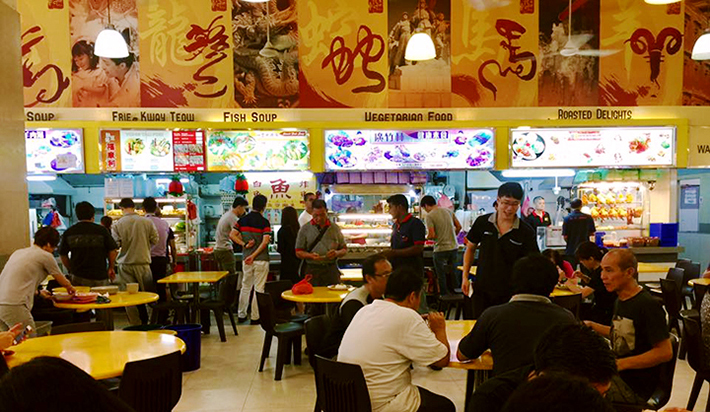 Not to neglect the other corner of Kranji, New Family Food Court will leave you spoilt for choice and make you wish that lunch hour was longer. Have a bowl of yong tau fu on one day, cai fan the next, and duck rice after. You’ll never have to go hungry when there are so many choices available. 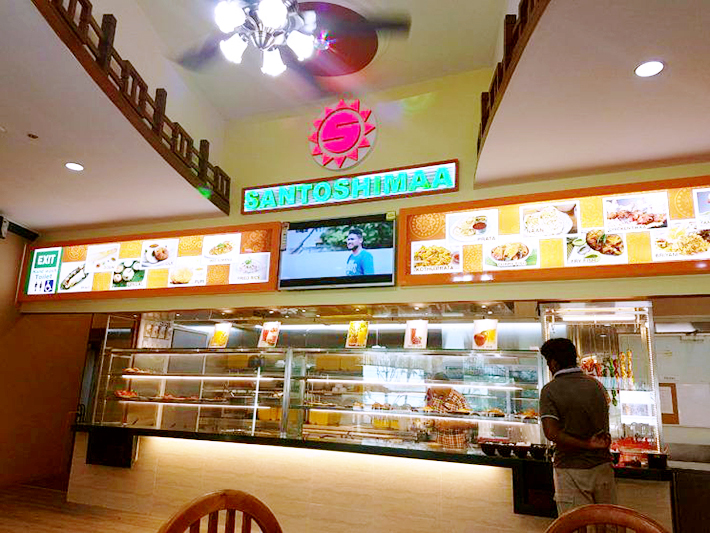 If you’re looking for a good Indian meal fix, Santoshimaa Indian Restaurant is the place for you. Located on the second level of Tuas Amenity Centre, this place serves the most affordable and authentic Indian fare. From just a dollar for a piece for roti prata to a huge plate of biryani, you’re guaranteed to head back to work in a better mood. 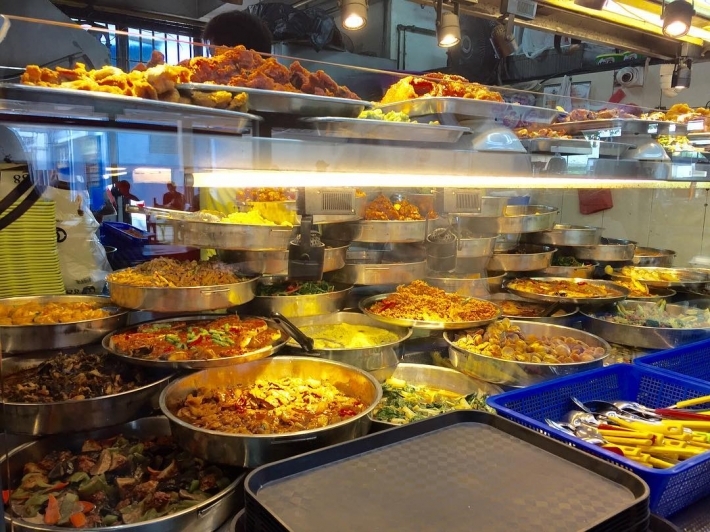 For those working in Jurong Industrial areas, Taman Jurong Market & Food Centre is a gem in the West, offering more choices than possible to consume in a week. 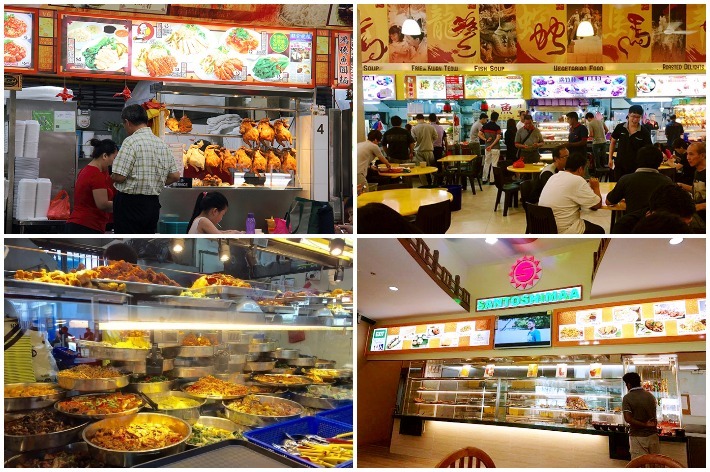 The multistorey food haven prices their dishes at extremely affordable prices, making it one of the cheapest hawker centres in Singapore. Do head down earlier as there is only one car park and queues form easily. Thai Khaneng Coffee Shop is situated in the middle of Woodlands Industrial Park, making it the perfect go-to for authentic Thai food during lunch breaks. Bring a couple of colleagues and enjoy reasonably priced mookata, or stand by and watch a variety of meats get barbequed over a rustic grill. The milk tea is not excessively sweet, and makes for the perfect drink to bring back to work along with a bag of fried chicken butts! Not all coffee shops have to be boring, and Timbre+ proves just that with its impressive gastropark. It claims to provide a multidimensional entertainment experience, and it definitely hits all the right spots with its Kaisen Don, Limpeh’s Sliders, Spicy Belly Chon and many more. 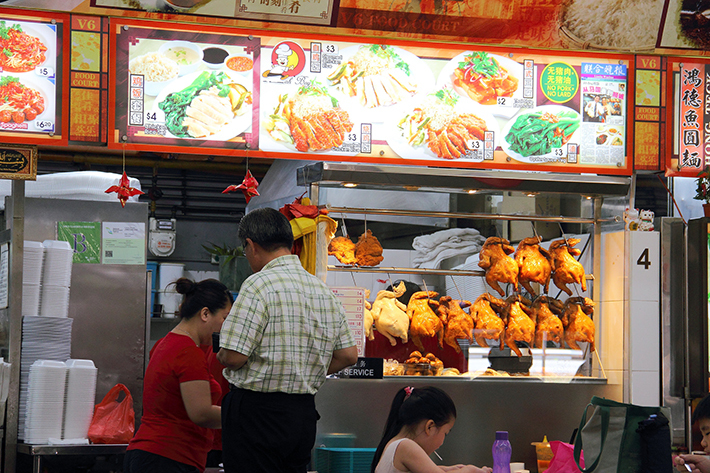 V6 Food Court is just a stone’s throw from Kranji Camp and is home to many underrated stalls. The definite must-try items include the barbecued chicken, rojak, chicken rice and bee hoon. As it’s only a short drive away from Sungei Kadut, make sure to grab your colleagues and go together so that you can have more options! © 2016 Tidbits - All Rights Reserved.